Picking the right Torch Booster is a matter of knowing how much gas you need when all of your systems are running. 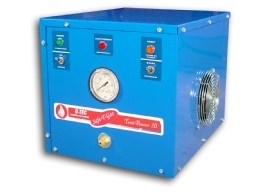 Single flame equipment will most likely use a TB-15 or TB-30 Torch Booster, our smaller units. 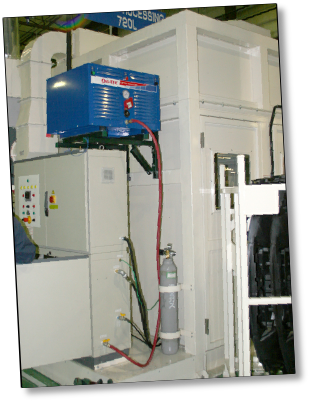 Larger printers with multiple flame treatment systems can fuel them all at one time from a single TB-60 or TB-125 Torch Booster. used. No ventilation or other site preparation is needed. 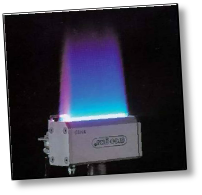 Torch Boosters are designed to run all day without operator attention - turn the system on in the morning and it automatically adjusts to your gas flow demand as burners turn on and off. both 208V 60 Hz and 230V 50 Hz electrical grids. Best of all…you never run out of gas and don’t change empty cylinders!! 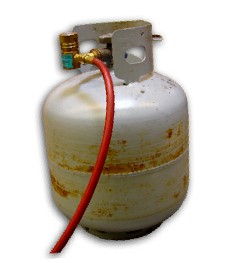 Fire officials want you to remove propane cylinders - Across the US and Canada fire safety officials are asking businesses to remove propane tanks from buildings because the stored gas is a danger if there is a fire or other emergency. treatment torch as gas is used, Torch Boosters don’t store any gas. 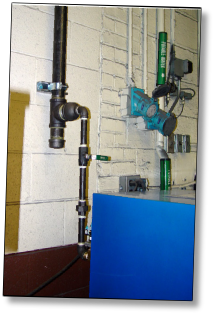 pressure utility natural gas pipe (supply pressure from ¼ psi to 5 psi) and raise pressure as high as 45 psi. is ready to work as soon as it is turned on. 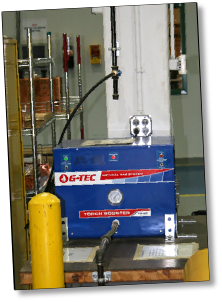 This means you never have to waste productive time changing gas cylinders and you never run out of gas in the middle of a production run - Torch Boosters can work 24 hours a day. either 208 V 60 Hz or 230 V 50 Hz electrical systems. How to install TB-250 and TB-500 Torch Boosters. such as ventilation - they are quiet and can be placed right In the work area. shutoff valve, screw the hose on each end and you are connected. How to install TB-15,30, 60 and 125 Torch Boosters. amp electrical power and are designed for use in North America. facility. 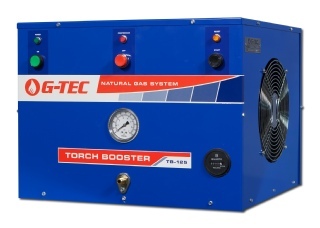 These Torch Boosters can operate in either a 120V or 230 V electrical system.